See how your energy supplier measures up with Simply Switch’s market leading energy comparison engine. Just five minutes of your time could save you hundreds of pounds per year! Each energy supplier has their own pros and cons and will appeal to different customers. 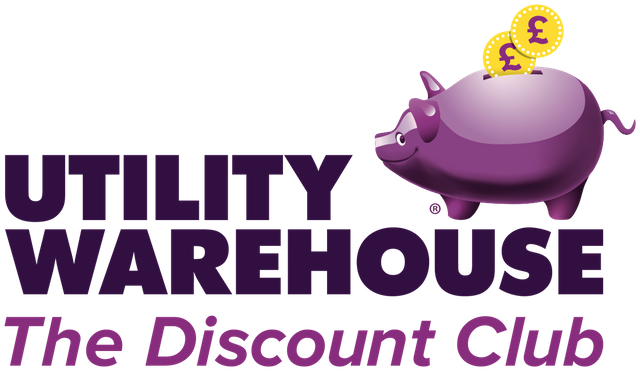 Whether you value customer service, care for the environment, or simply want the lowest price possible, have a look through our list and you’ll find a provider you like. 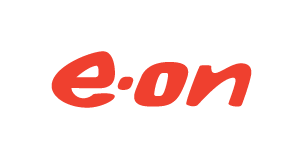 E-on are an energy supplier that was formerly known as Powergen, they are one of the “Big Six” gas and electricity providers in the UK. They currently provide energy to around 9 million people in the United Kingdom. They offer customers great help when it comes to improving the efficiency of their homes. British Gas is one of the “Big Six” energy providers in the UK. They were previously a nationalised company, but became private during Margaret Thatcher’s time in government. They currently provide gas and electricity to 6 million people across the UK. There business currently covers over half the domestic gas market in this country. Npower currently provide gas and electricity to over 7 million customers in the UK. They produce a large amount of their own energy, with gas and coal stations across the country. Npower have received praise for its “one per cent” policy, which sees them reinvest 1% of their profits back into UK. ScottishPower has been established for over 50 years and now supplies energy to more than 5 million domestic customers across the UK. They are dedicated to investing in green projects and have 30 wind farms, hydro-electric power stations across the UK as well their own Green Energy fund. 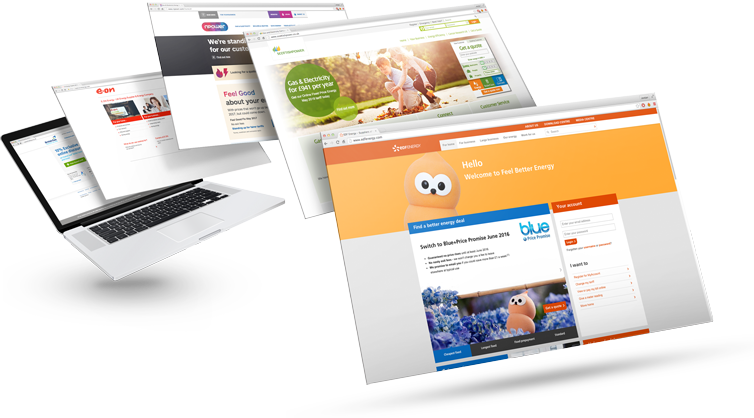 EDF energy are one of the “Big Six” energy suppliers in the United Kingdom. EDF produce low-carbon energy and create 7% of the UK’s energy supply. They have 5 million customers in the UK and took over British Energy in 2009. Just under 70% of their energy is produced from nuclear power. Economy Energy’s focus is on providing a reliable service at incredible competitive costs, while maintaining great customer service. They are a relatively new, independent supplier, currently managing an ever increasing, loyal base of customers. SSE is one of the biggest gas and electricity suppliers in the UK. They were created after Southern Electric and Scottish Hydro merged back in 1998. Their aims include increased customer satisfaction and they have a good track record in this area. There are also committed to increasing the amount of renewable energy in the UK. The Co-operative energy started off supplying households in the Midlands, since 2010 they have expanded across the UK. They now have 500,000 customers nationwide and offer both gas and electricity. They do not have any shareholders, but instead allow their customers a share of their profits. They have a good record on customer service and affordable prices. 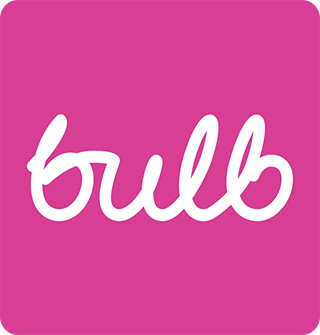 Bulb Energy is a new supplier, started up by two friends with the aim of making energy simpler, cheaper, and more environmentally friendly. They only offer one price, so you’re not left making difficult choices between difficult to understand plans. Shell Energy supplies 100% renewable electricity, as well as gas, smart home technology and broadband, to British homes. Flow energy is one of the most recently created energy suppliers in the UK after being formed in 2013. They plan to offer all customers a free “flow boiler” that generates its own source of electricity. These boilers are aimed at tackling the UK’s growing demand for energy. So Energy is a small provider who believe in providing their customers with a service that is based on simplicity, ease and good value. They only offer a single, fixed price tariff, that is competitively priced and available to all customers, old and new. Tonik Energy is a new company, based in Birmingham, who aim to save their customers money by offering smart advice on reducing their overall energy consumption over time. They also get their energy from 100% renewable sources. 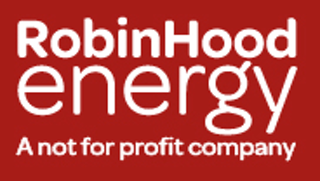 Robin Hood Energy is a not-for-profit energy company founded and run by Nottingham City Council, but serving the whole of the UK. With no private shareholders and no directors’ bonuses to pay out, their focus is wholly on the customer. They do not charge exit fees on any of their tariffs, in order to enable customers to switch easily whenever they want to. Sainsbury’s energy is a partnership between Sainsbury’s and British Gas. They strive towards providing renewable energy and high levels of customer service. Their call centres have continuously won awards for their efficiency and excellent record of customer satisfaction. OVO energy company was created in 2009. After four years in the industry they have 70,000 customers and counting. The company is committed to providing affordable, green energy across the UK. They believe in simplicity and as a result only offer two types of tariff at present. Utilita are the leading energy supplier for prepayment meters in the UK. They were created in 2003 and are dedicated to supplying its customers with fairly priced gas and electricity. They have tried to achieve this aim by providing their customers with smart meters up and down the country. Octopus Energy is a relatively young supplier who, as the UK’s largest investor in solar farms are intent on supplying their customers with 100% renewable electricity. They are also committed to clear pricing and simple tariffs that don’t involve lengthy contracts and unnecessary bureaucracy. Extra Energy is an independent gas and electricity supplier with fixed price offers for both domestic and business customers, Extra Energy have a sister company, Extra Energie, which powers around one million homes and businesses in Germany. Launched in early 2014, Extra Energy is one of the newest entrants to the UK energy market. EBIco are a company that are dedicated to producing and supplying energy in environmentally friendly ways. They charge the same price per unit for all their energy plans, whether you are on a prepayment meter or direct debit scheme. They also offer help to those on low incomes to make sure they can afford energy. Marks & Spencer rebooted M&S Energy in 2018 through a brand new partnership with Octopus Energy, pairing the high street legend M&S with Octopus’s fresh, tech-led approach and commitment to fair energy pricing, forever. Daligas is a new gas supplier that only entered the industry in 2013. Their business model is based around low running costs and good customer service. Whilst they only offer gas at the moment, they are expected to branch into dual fuel deals in the near future. Ecotricity are an energy supplier that is devoted to producing green energy from renewable sources. They run a “bills into mills” initiative that is committed to reinvesting customer bills into creating more renewable energy sources. They have topped the Which? energy supplier survey for two years running. Affect Energy is a supplier managed by a group of people with over 50 years experience working for major energy ompanies, and it dedicated to provide a simple, painless, and great value service – something they call ‘simply brilliant enrgy’. Fairerpower are an energy company that supplies the area of Cheshire East. They aim to deliver energy in a fairer way and are run as a not for profit organisation. They are owned by Cheshire Council and are known for having good customer service and extremely competitive rates. Better energy are a Nottingham-based company that currently supplies gas to homes across the UK. They have just received approval to start supplying electricity and this is scheduled to begin next year. They offer highly competitive rates because of their low overhead costs and online billing system. Zog energy joined the gas industry in 2013 and are committed to simple and affordable energy tariffs. They offer two tariffs, both of which are fixed rate – one is for 12 months and the other is for 24. They currently only offer gas services but will no doubt be expanding into the electricity market very soon. Oink energy is a small energy supplier that has been around in the UK since only 2014. They have a strong customer service policy with the motto “It costs nothing to be nice”. They offer both gas and electricity and they focus on providing simple bills and tariffs. iSupply energy is an independent provider that is based in Dorset. Their aims are to simplify the pricing system in the energy industry and increase the competitiveness of energy prices in the UK. They plan to achieve this through low overhead costs and cutting edge technology. Good energy is an independent energy company without strong environmental aims when it comes to renewable power sources. They have invested heavily in wind farms and solar panels across the country. They have pledged to donate £40 to the National Trust for every new customer that changes to them. Spark energy is a gas and electricity company that focuses on providing energy to rented properties across the UK. They started in 2007 and now have over 300,000 customers across the UK. They give all of their customers smart meters so that they can be sure to receive accurate energy bills. Launched in May 2014, GnERGY is one of the more unusual independent energy providers to enter the market. Managed by a community of 200 former Gurkhas, GnERGY plan to target the Nepalese market of UK energy consumers. GnERGY has stated that their UK-based call centre will be fluent in Nepalese, Hindi and English. SSE Southern Electric are a subsidiary of SSE and provide people with energy in the South of the country. They pride themselves on their customer service and have in turn received some very good levels of customer satisfaction. They are the largest producer of green energy in the UK. SSE SWALEC are a subsidiary of SSE and provide people with energy in Wales and Merseyside. Like all members of the SSE group they have an exemplary record when it comes to both customer service and customer satisfaction. They currently employ over 20,000 people. 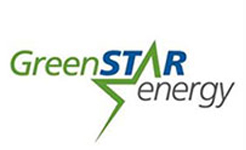 Previously operating under the name of Pioneer energy, Green Star energy are an energy supplier that focus on low carbon energy sources. They also provide their customers with extensive information on how to be more energy efficient at home. They currently offer both gas and electricity tariffs. As their name suggest LoCO2 energy are an electricity supplier that are dedicated to providing low-carbon energy to homes all across the country. They work in conjunction with TLS Hydro to produce energy and have a number of wind farms and hydro power stations all over the UK. Green energy is an energy supplier that focus on producing energy in environmentally friendly ways. They have a number of hydro power stations and solar panels across the UK that help them to reach their aims. The currently only offer electricity and have not declared an interest in entering the gas market. SSE Scottish Hydro was initially a standalone company in its own right but later merged with Southern Electric to create the SSE collective. They provide energy to people all across Scotland and have an excellent record with customer satisfaction and customer service. Bristol Energy is a new supplier dedicated to providing fairly priced and transparent tariffs and to promoting social equality by reinvesting profits into local services and community-owned initiatives. Bristol Energy wants to change the energy industry for the better, with the help of a loyal and satisfied customer base.